New Delhi: The CBI has told the Delhi High Court that it did not register graft cases against senior officials of AIIMS for alleged irregularities in procurements in 2012-14 as it “found no criminality” on their part. The submission by the agency was made before a bench of Acting Chief Justice Gita Mittal and Justice Anu Malhotra which was hearing a plea for lodging corruption cases against some senior AIIMS officials for alleged irregularities in the purchase of items for the surgery department and the trauma centre. The court listed the matter for further hearing on September 4. The allegations were levelled by an NGO, Centre for Public Interest Litigation, which had claimed that despite there being prima facie findings of corruption by the CBI and then Chief Vigilance Officer (CVO) Sanjiv Chaturvedi of AIIMS, against some of the senior functionaries of AIIMS, no steps were being taken to register a regular case. The NGO had also claimed that an attempt was being made to close the cases through a collusive departmental enquiry. However, the agency in its latest affidavit, said, “It is submitted that CBI in its findings has found no criminality on the part of officials or officers of AIIMS and hence no FIR was registered”. The CBIs stand was similar to that of the Ministry of Health and Family Welfare which, in its reply to the application of the NGO, has said that the allegations made against some of the senior officials “could not be established”. 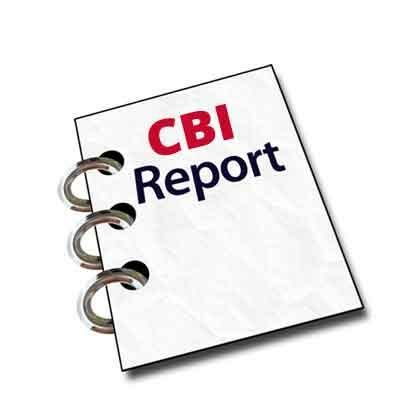 The CBI has said that the application, filed by the NGO, was not maintainable and the claims made in it were “wrong and misleading”. The agency has also said that in its self contained note to the CVO of the Ministry of Health and Family Welfare, it had said that “action as deemed fit may be taken”. The application was filed in the main PIL by the NGO seeking CBI probe into various cases of alleged irregularities and corruption in the All India Institute of Medical Sciences (AIIMS) raised by then CVO Chaturvedi. In its reply to the main petition, the CBI had last year said that it had registered nine cases relating to several alleged irregularities in AIIMS in the last seven years. It had also informed the bench that a matter relating to allegations of irregularities and embezzlement of funds in purchase of surgical equipment was closed in July 2016 as no “wrongdoing” was found. It has also claimed that a contract relating to supply of sanitation items at the trauma centre was given to a firm belonging to relatives of an official there without following any procedure and “on the basis of fabricated propriety certificates…despite availability of same items at lower rate”. Chaturvedi had earlier accused the Health Ministry of not doing anything in several graft cases relating to the premier institution by allegedly sitting over the charge sheets and CBI reports against the individuals involved.